We all talk a good game about how to eat, what to eat, and the importance of preparing our own food from quality ingredients. The truth is that everyone faces the same dilemmas from time to time. Whether it's travel, working late, business lunches, social outings, or simply not being interested in cooking, there are many reasons that eating that home cooked meal may not always be possible. I've decided to pose a series of questions to our members on a weekly basis on what gets them through these situations. You might be surprised at some of the answers and others might be exactly what you expected — either way, I'm hopeful that this will help you navigate your way through the myriad of awkward, inconvenient, or simply lazy situations you find yourself in. CA: Do you put much thought into where you eat out? Or do you simply go anywhere and try to make do with what's on the menu? KH: I don't eat out often, but when I do, I definitely put a lot of thought into it. I have food sensitivities that limit my ability to go just anywhere and make do with what is on the menu. Food quality and sustainability are also important considerations for me. There have been some instances in social situations or when traveling where I make exceptions on quality, but I absolutely must feel comfortable that my food sensitivities will be taken seriously. I won't compromise on that. CA: Most memorable restaurant meal on Maui? KH: I'm fairly new to Maui, and I haven't yet explored all of the restaurants and places to eat that I'd like to. So far, my favorite meal experience has been with a plate lunch vendor called Maui Cones. They serve several Hawaiian dishes, including poke and lau lau. The family that owns this business is so sweet and kind! You can find them at the UpCountry Farmer's Market in Kula every Saturday. CA: Most memorable restaurant meal off of Maui? KH: Kitava in San Francisco, California. 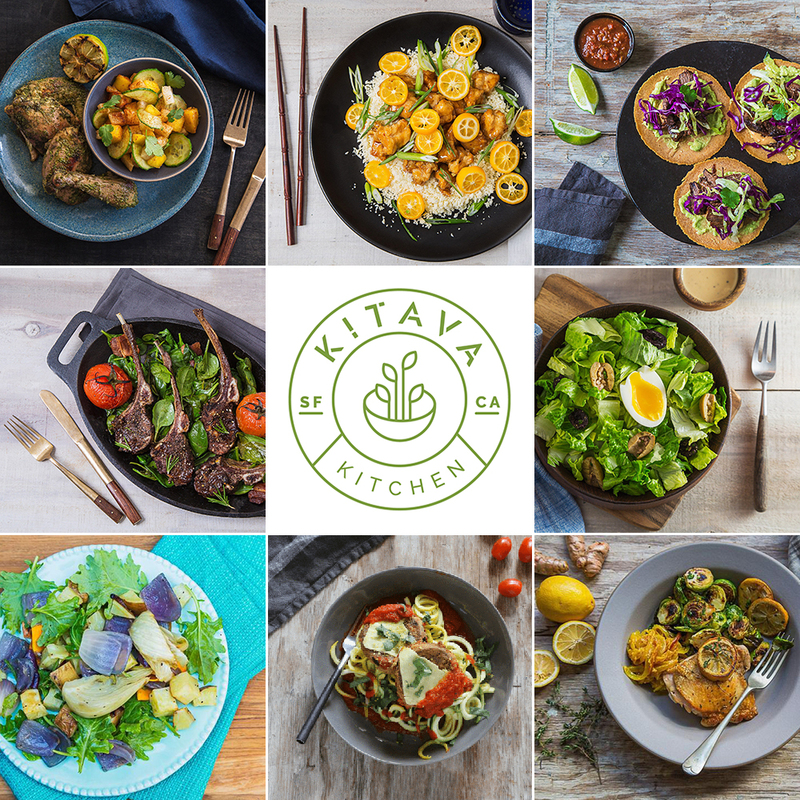 They are a Paleo restaurant and meal delivery service, and the food is DIVINE. Their prices are also quite reasonable. And they have menu options for special diets beyond Paleo, including the Autoimmune Protocol and the Whole30. It is such a treat to have healthy, real food meals made for you! CA: For people with special diets, how do you suggest they talk with restaurant staff in order to get what they need? Always be friendly and respectful when interacting with restaurant staff (and everyone in general, of course). These are the people that are preparing your meal, and it does take extra work when you have special requests. Make sure that they know how much you appreciate them making the accommodations for you. Thank them, and tip them well! Don't make assumptions when it comes to using terms that are familiar to you, such as "gluten", "nightshades", and "grain-free". The average person may lack an understanding of these terms, and it's best to spell it out (e.g. say "wheat, barley, rye" instead of or in addition to "gluten"). If you have numerous food allergies or sensitivities, it can help if you write the list down on a piece of paper that you can hand the server. Ask the server to take the list to the chef and make sure that the accommodations can be made. CA: Do you prepare an emergency meal when you travel? If so, what do you include? KH: My emergency meals are usually more like snacks. I carry sardines, beef jerky, nuts, olives, and fruit when traveling. I have also been known to prepare and pack a meal in advance that I can travel with, such as a chicken salad. CA: Your favorite quick meal to prepare at home? KH: The Instant Pot is my favorite kitchen tool for time-saving meals. I use it frequently to make beef stew, among many other simple, quick meals. I also enjoy sautéed protein patties (beef, lamb, venison) served with steamed vegetables when I need to throw together a quick meal. CA: Do you consume alcohol? Explain why you think it is or isn’t a good idea. KH: I used to enjoy an occasional glass of wine, but I started noticing that even one glass disrupted my sleep and left me feeling less than optimal the next day. I haven't missed it since cutting it out. Alcohol is a toxin, and excess alcohol consumption can contribute to systemic inflammation. There is no need to have it in your diet, although I understand that there are strong cultural norms for partaking in alcohol. Every person needs to evaluate for his/herself what role alcohol will play in their diet (if any). In general, I would discourage alcohol consumption for those with autoimmune disease because of how it can fuel inflammation. CA: In terms of food, what is your guilty pleasure? KH: Because my diet has to be fairly strict due to my food sensitivities, I don't beat myself up when I indulge in the occasional treat that falls within my dietary parameters. I love the Hail Merry tarts! The Chocolate-Almond Butter one is my favorite. Recently, I've been able to reintroduce rice into my diet. I consider rice to be the most benign of all of the grains. It is a filler food, so there isn't much nutritional value in rice, but some foods do go well with it. I will occasionally eat a small bit of rice with the lau lau that I get at Maui Cones. It feels like a bit of a guilty pleasure after so many years of avoiding all grains. I am a certified nutritional therapist, primal movement educator, and a registered nurse licensed in California, Florida, and Ohio. I healed my own gastrointestinal and autoimmune disease by following a whole food, nutrient-dense, traditional diet. It is my mission to help others to make healing changes in their own lives through the power of real food and other ancestral health techniques.